Hi folks! 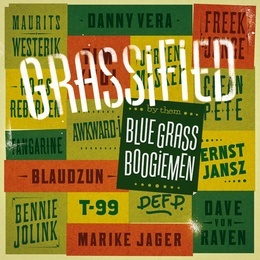 We are the Blue Grass Boogiemen and we’ve been playing traditional bluegrass professionally since 1990. Our show has proved to be very successful here in Europe. In Ireland we won the ‘Waterford Crystal Bowl’ for ‘most popular band’ at the Guinness International Bluegrass Festival, in Holland we won the ‘Silver Fiddle Award’ and the ‘Gram Parsons Award’(eight times) both for best acoustic band, and beat Alison Krauss to the number one spot in the ‘Strictly Country’ charts. Also in America, where we’ve been touring several times, people are very enthusiastic about our music. World Famous fiddler Byron Berline wrote: ‘Your band was singled out as one of our ‘don’t miss’, ‘please have them back’ and ‘we love them’ groups…‘ after we appeared at his international bluegrass festival in Guthrie, OK, for the first time. Since then we’ve played his festival many times. The Washington Post wrote: ‘…the Boogiemen mimicked American music icons with absolute accuracy and joy…’ and ‘Mandolinist Arnold Lasseur did Bill Monroe proud…‘ after we played in Arlington, VA. But no, we’re from Holland alright. Holland, Europe that is! However we’re willing to travel to where ever you’d want us to play. So make your event truly international, contact us and book ‘…one of the most hard-hitting, versatile and entertaining bands on any continent…‘ as Bluegrass Europe magazine put it. catches the earring in Kanis’ right ear, the band shifts into an up-tempo version of a Lefty Frizzell song and it’s clear who they are: young Europeans utterly enamored of traditional American music. Band members honed their high lonesome sound in Utrecht, a town in the central Netherlands, where Bart van Strien, who alternates between five-string banjo, harmonica and fiddle, said their love for bluegrass made it easy for them to find each other. As the band alternated between traditional bluegrass and a kind of up-tempo honky-tonk, burly mandolin player Arnold Lasseur’s Dutch accent melted into a soulful twang in songs like Hylo Brown’s ‘Lost to a Stranger’. 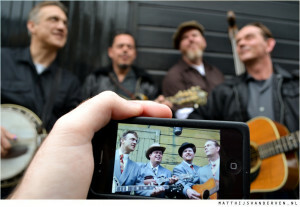 The band learns new songs by listening to bluegrass and country records — the older the better, Kanis said. The band released a single, Jimmy Martin’s ‘Hit Parade of Love’ on a 45 rpm record, purely for nostalgia’s sake. 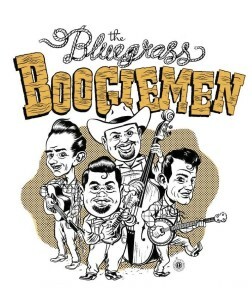 The Boogiemen were making a return appearance at the International Bluegrass Festival. Following a 50-minute set Thursday afternoon, they spent more than an hour selling copies of the single and compact discs and signing autographs in the temple’s marble lobby. “We love Guthrie. We came last year and it turned out so fine,” said Kanis. This year “people are wearing our T-shirts and yelling our names. Graag zou ik contact hebben over mogelijk optreden van de boogiemen op 24 augustus tijdens de houtmansplantsoenconcerten. Gratis concerten. opkomst 600 a 1000, zondagmiddag tussen 14.00 en 16.30 uur. I just updated our tourlist. Hope to see you in october. Hahaha! We always bring our asses everywhere we go Dubble D. We hope to make it over there sometime again, before too long. But right now we haven’t got anything planned yet. Thanks for your support!!! Hey there, saw you guys perform at cafe de stad in utrecht a few years ago… acoustic and live awesomeness.. i would like to see if you are willing to perform at a small.local party @ kockengen… im sure it will be just as amazing as back then!!! Hello Lee, thanks for showing an interest in our band. And yes, of course, by all means. You can e-mail me at arnold.lasseur@gmail.com and I’ll be happy to answer your questions.